Flood damage restoration is a complicated process that is unique and specialized to every case. Abbotts restoration professionals are trained to assess property damage and construct an individualized procedure in order to restore your property to its original state in a cost-efficient and timely manner. 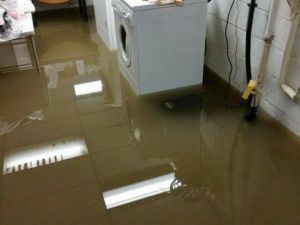 Whether or not this is your first time dealing with water damage remediation, you can expect that the insurance company will do whatever they can to save themselves money, or even worse, deny your claim altogether. Here at Abbotts our priority is doing what is best for our customers. As we work for the customer not the insurance company, we are experienced working with insurance adjustors and will work as a middle ground between you and your insurance company. As a family owned and operated business, we treat our customers like family. Your satisfaction with our services is our ultimate goal. We want our customers to have a company they know and trust when disaster strikes. Abbotts stays ahead of its competitors by using advanced drying techniques and equipment. Our technicians and project managers are IICRC certified and have experience in a wide variety of water remediation operations. Having friendly and knowledgeable employees is the key to keeping our great reputation. We take pride in our workmanship and our customer service. We understand that damage in your home can cause stress and heartache. It is in the nature of our business to remediate a problem and make your life easier, so we are available 24/7 to take care of your needs and answer any questions you have about getting your home back to its original condition. At Abbotts, we make commercial and home disasters a thing of the past.